When in 1970 John Pasche designed the famous Rolling Stones logo he was paid only £50. He got 200 more two years after from the band as a bonus, so much they were pleased with it. 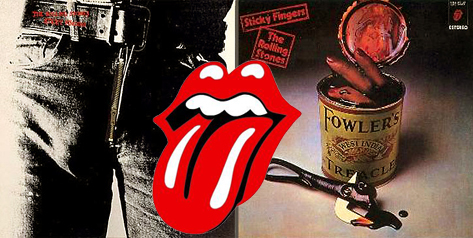 That logo, created for the album Sticky Fingers released in 1971, made music history and now Victoria and Albert Museum in London has bought for £50,000 (which means 92,500 USD) the signed original artwork sold by author with an auction. Pasche says that he took inspiration for the logo from the rebellious spirit of the band and sexual connotations of Mick’s mouth. He designed it in a bold graphic style so that it could stand the test of time and he wanted it in an easy to reproduce shape. a further agreement needed to be drawn between designer and the band for the merchandise. The designer continued to create artwork extensively for the band until 1974. This led him to work for Paul Mc Cartney, the Who and many other artists. Actually this logo is one of the most famous in the world, a real icon of the pop art culture. Ever since I was a child I’ve always loved it. So colorful, so powerful, so direct. But, most of all, it really was, (and still is) “ONE” with the band itself, a perfectly merged symbol.